I think I should learn how to play the piano like that. I haven't watched the pirites of the caribean. my favorite music is the apollo 13 soundtrack. you should listen to it! Gosh, you have so many similarities to me! :) I'm 15, and I love Vivaldi and Enya and classical music, movie soundtracks, and pop/rock if it's really good. 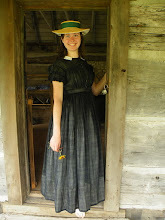 I also like sewing historical clothing and the 19th century. 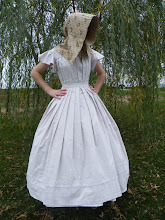 I just wish my family and friends were into sewing and reenacting like yours are! 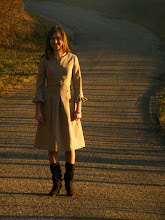 ;) I love your blog! I'm dying to learn how to play this song!! :) My friend said that they sell the music for it on the Pirates website. It's just such a neat piece!! I hadn't seen the video before, so thanks for posting it! He is really amazing! and FWIW this is your blog, so post all you want about what you want, I love it all! I can't watch this vid.. sadly! But I do like Pirates of The Caribbean! Course I just like Johnny Depp :) and I'm SURE you'll be the very best piano player ever, You're off to a great start! Don't feel depressed, just encouraged, and now you'll always have something to look up to in your new venture with piano!.. and I already envy you to death because I was never any good at it myself ;)..
You're very welcome hun!!! That's how I look at songs; inspiration and encouragement. 's the only way to make my very UN-musically inclined self feel better when I hear something that really moves me, like Alison's stuff and I know I shouldn't even consider 'wishing' to be that good..
Oh sure, it's still my dream -one day- to play You're Just A Country Boy.. I just finally decided not to beat myself up, it's not worth it.. I'll enjoy talent, and keep on dreaming!.. If you would burn a copy of this vid on my cd I'd be very grateful, thanks so much!